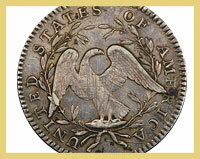 • Article: Mint Error or Die Variety? 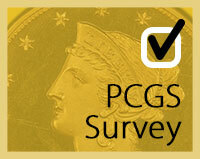 • Survey: Which is your favorite U.S. coin celebrating its centennial in 2016? President of PCGSCoinFacts.com and award-winning author Ron Guth discusses the highly anticipated reemergence of a truly legendary coin: the 1822 Half Eagle. This "trophy" coin is extremely sought after, to say the least, and hasn't appeared on the market since 1982, fetching $687,500 when it sold. Legend has handled many wildly toned Morgans and is an expert in the field. If this were in auction, there would be a bidding war. 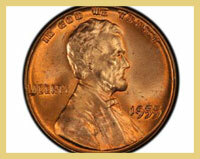 This coin ranks among the great toned 1883-O's that exist. View this and other quality Round I new purchases from the Central States Show. Numismatic Expert Mike Sherman’s fourth installment of "Difficult to Grade Coins" explores early pre-1808 silver and gold coins, noting issues such as adjustment marks and worn dies. These issues are especially tricky to grade, as both adjustment marks and strikes vary in severity. 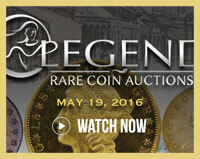 Classic rarities and collector coins are featured in Legend Auctions' Regency Auction XVII, which is currently open for bidding. Highlights include original and restrike 1827/3 quarters from the famous James A. Stack collection, plus an extremely rare 1879 Pattern $20 Judd-1643, known as a "Quintuple Stella." Mint Error or Die Variety? Valuable lessons often strike unexpectedly, but when they do, they leave a lasting mark. 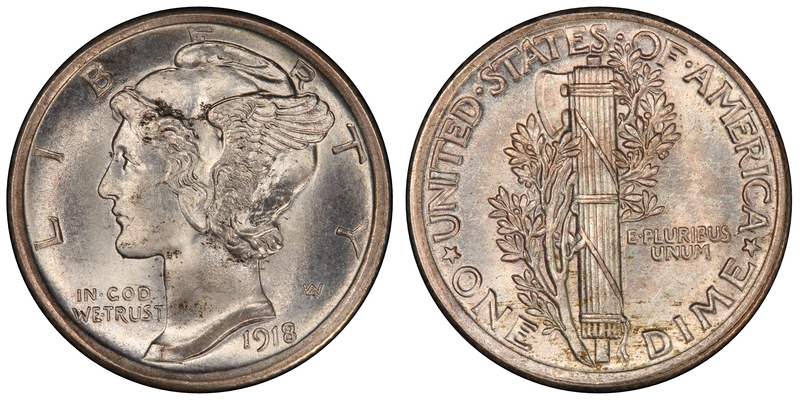 Coin guru Ryan Moretti tells the story of an important career lesson he learned early on: distinguishing the difference between a mint error and die variety. 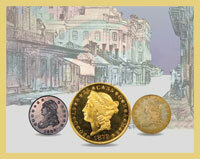 Don Willis previews the Regency XVII Auction, which will be held at the upcoming PCGS Members Only Show in New Orleans. 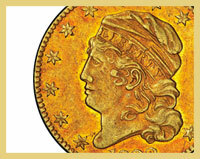 Here's your chance to preview the top coins available in the 472-lot auction, which is now open for bidding and ends May 19.